LeBron James' signature line holds meaning in more ways than one. It's built for one of the highest performing athletes of all time and has transcended the court to reach icon status thanks to meaningful colorways and unforgettable inspirations. 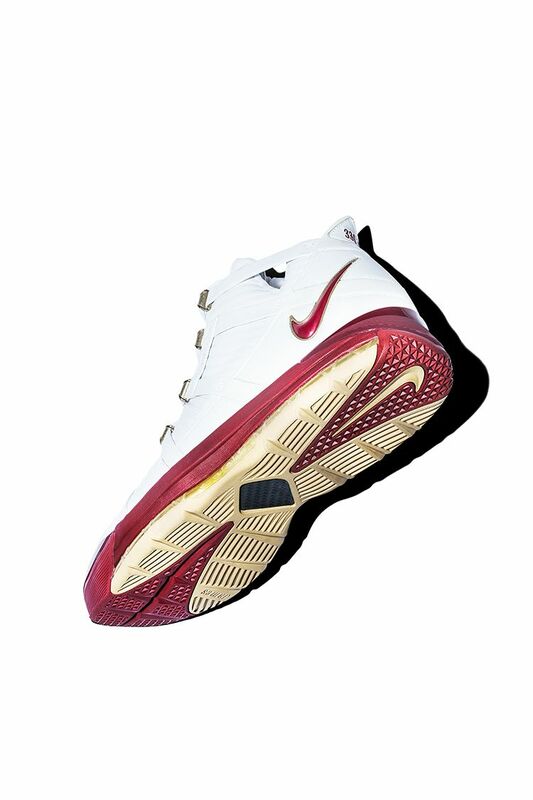 When it comes to the LeBron III, the silhouette continues to bring deep storytelling to life via King James' feet. High school exclusive colorways were created for the next generation of athletes from Los Angeles, to Queens, New York. These exclusive iterations in team tones would kick off a long-standing collection of footwear specifically built for high school competition. 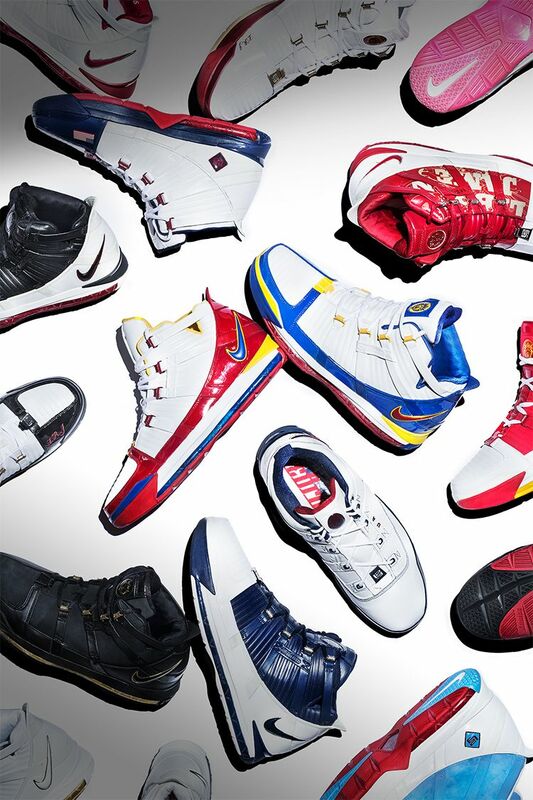 The 2004 NBA All-Star Game was not only monumental for James’ legacy, but also for his footwear. 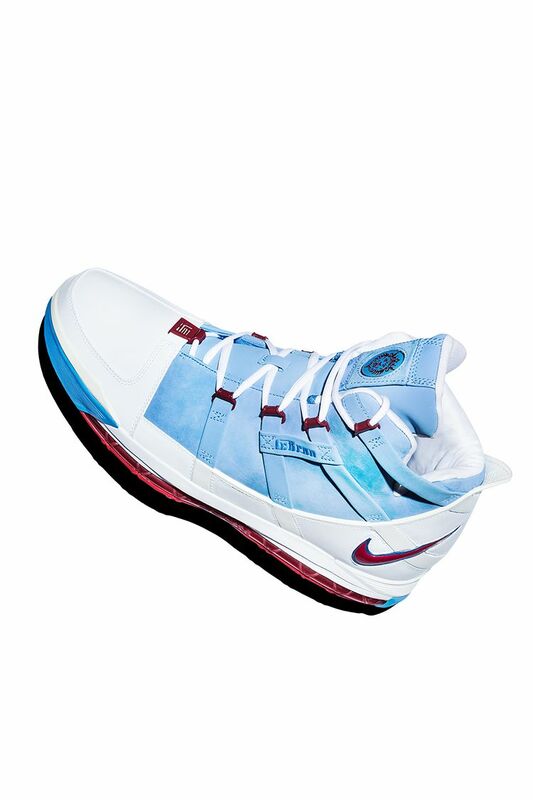 He went on to earn MVP honors while playing in an All-Star branded colorway of the Zoom LeBron III. Pushing the story further was this unreleased Houston-inspired colorway, reminiscent of the city’s past sport greatness. 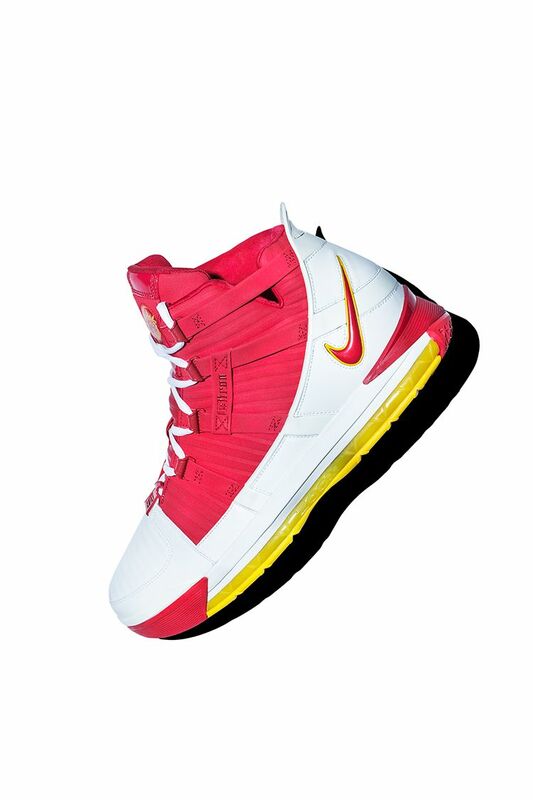 When it comes to the LeBron III, this could easily be the colorway most important to James. 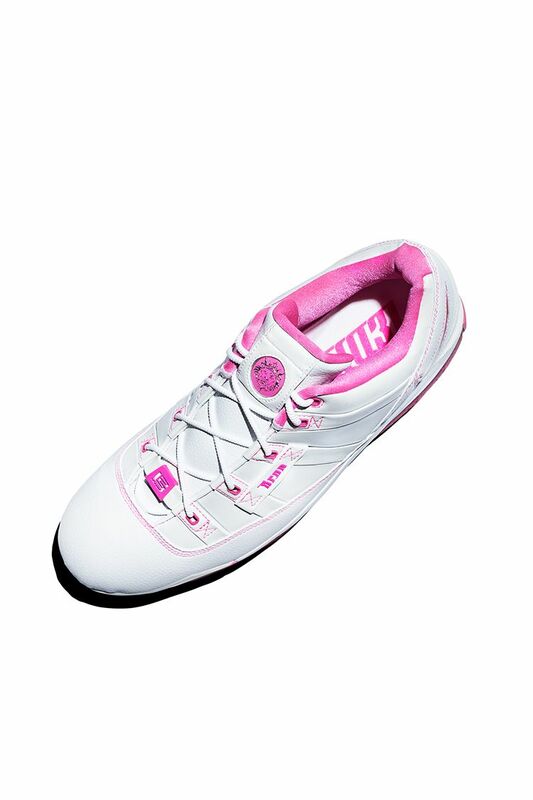 Outfitted in premium white leather with hits of a vibrant pink hue, this exclusive iteration celebrates his mother, Gloria James. Following up the Zoom Generation, the LeBron II and the LeBron II Low, this marked the fourth silhouette in the celebratory “Gloria” series. LeBron James’ first playoff experience came to be with the LeBron III on his feet. The historic moment called for several exclusives, including this “Area Code” PE colorway. 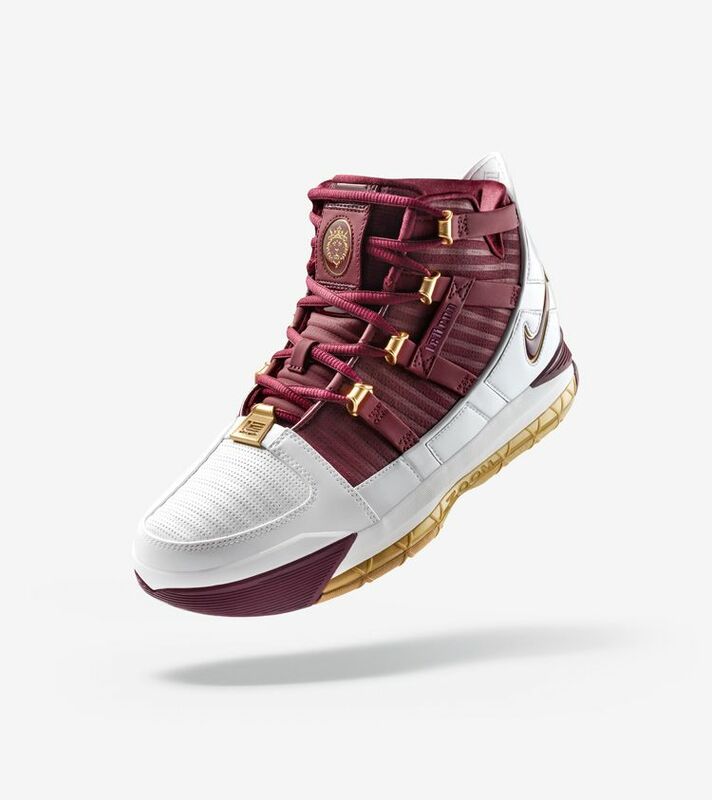 Finished in LeBron’s team colors, the shoe also features the Akron area code, 330, stitched on the heel tab. The summer of 2006 saw Lebron represent the United States in qualifying play. 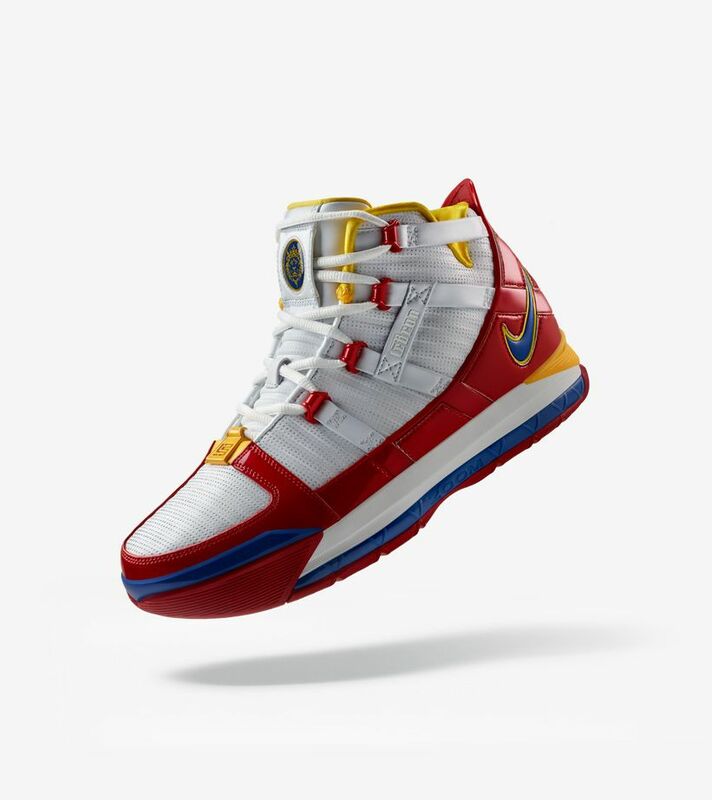 To outfit James, the Nike Basketball design team cooked up exclusive versions of the LeBron III and LeBron III Low. 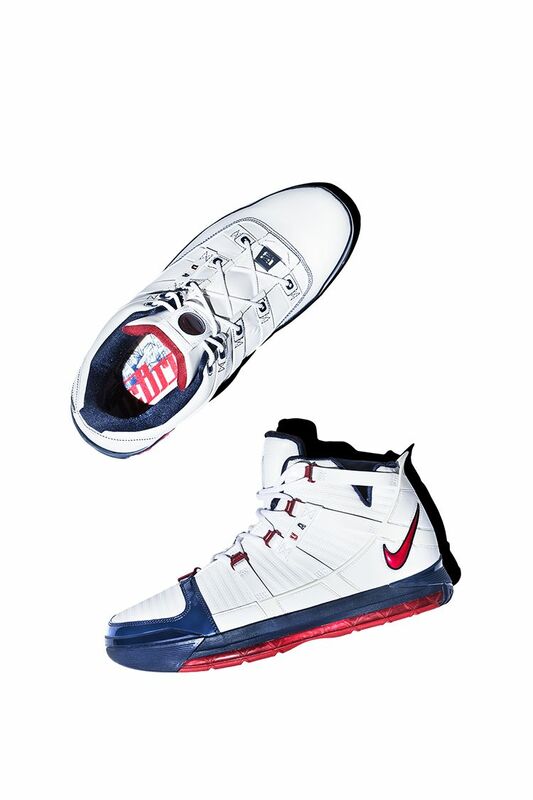 Each design features fitting colors, along with patriotic callouts throughout the shoe. The 2005-06 season was definitely one to remember for LeBron. Not only did he reach the postseason for the first time in his career, he also came close to winning the league’s most valuable player award. 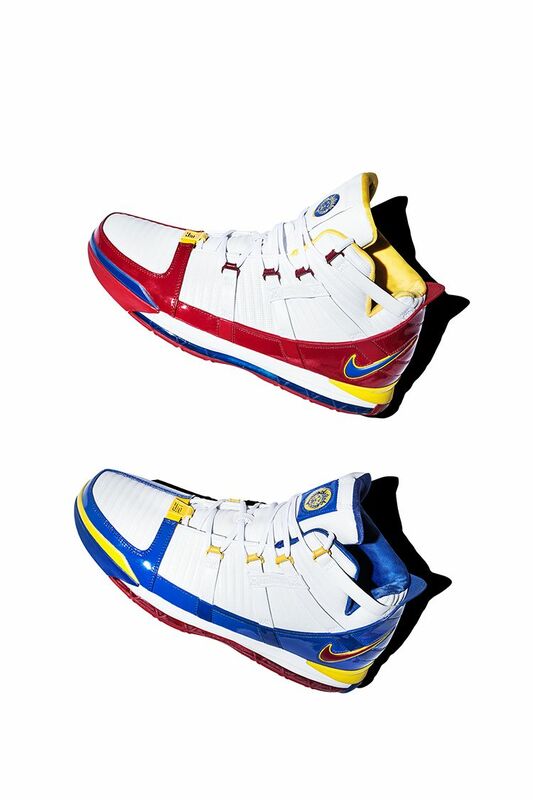 To honor LeBron’s superhero-like season, the design team colored up these two unreleased iterations of the LeBron III.